One of my favorite classic Cuban dishes is Picadillo Cubano, which has proven its deliciousness time and time again. Ground beef cooked in tomato sauce with onions, garlic, raisins, stuffed Spanish olives and wine, provides a rich and comforting dish. 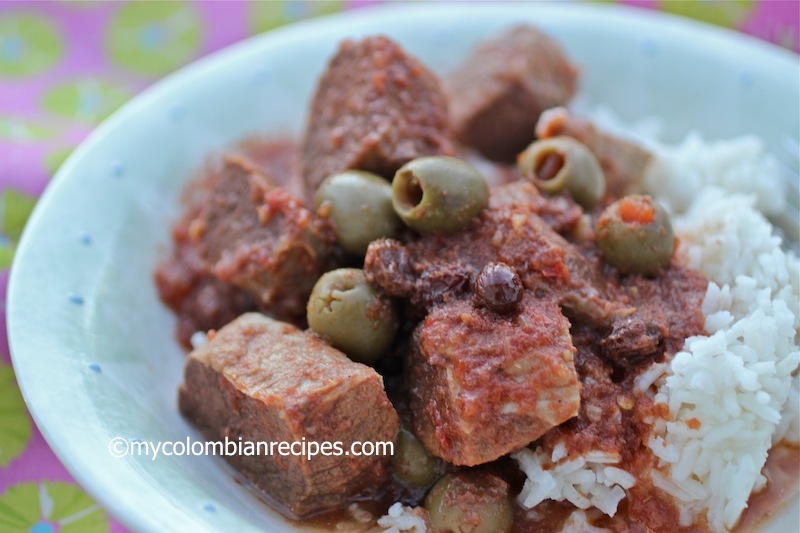 Last week I was craving this dish, but didn’t have ground beef at home, so I decided to make a Beef Stew in the slow cooker with the same flavors of Picadillo Cubano. 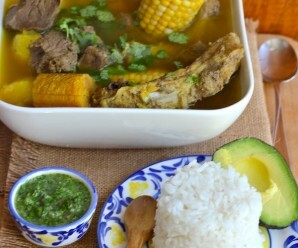 Served with a steaming side of white rice, this was simply the perfect way to bring warmth to a cold day. 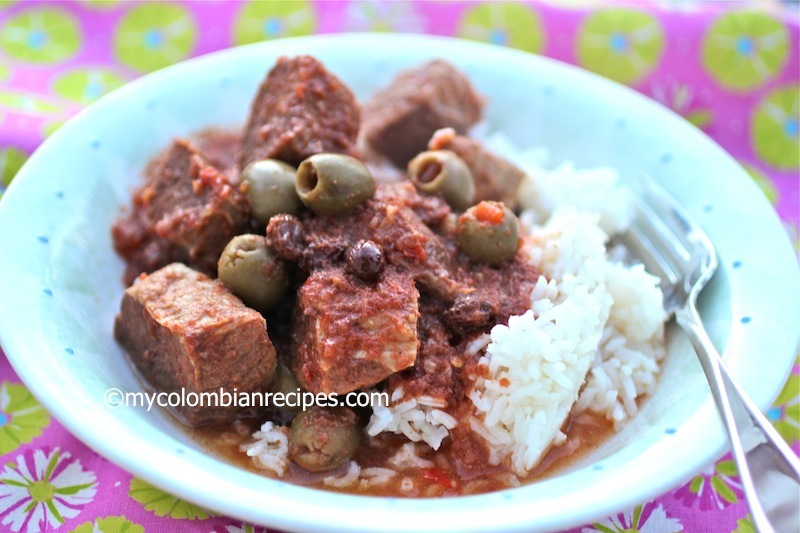 This Slow Cooker Cuban-Style Beef Stew is a wonderful and simple meal for the whole family. Season the beef with salt and pepper. Place the beef and the rest of the ingredients, except the olives and raisins, in a slow cooker. Add the olives and raisins one hour before the cooking time is finished. Remove the bay leaf and season with salt and pepper. Serve over plain white rice. Love slow cooker recipes. The beef stew looks comforting and delish, Erica. 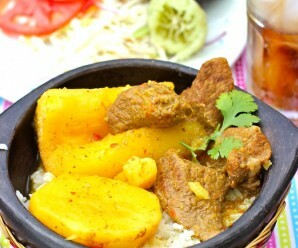 Looks like a wonderful stew, interesting with olives and raisins together. Kinda Morrocan influenced too. That is a hearty stew! Comfort at its best. 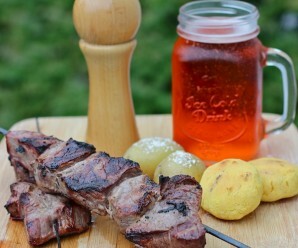 The briny bite of the olives pairs great with chicken but I have never tried it with beef, I’m liking that idea! Cubans are not allowed to eat the beef. They are only allowed to raise it for tourist consumption. 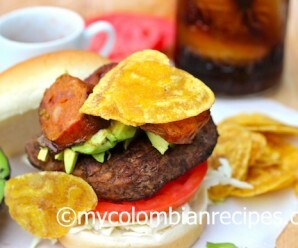 Ericka, thank you for bringing up to me the colombian dishes. I did the choriz0 and beef picadillo and was really delicious. however, I did not have all the required ingredients such as olives, raisins and red wine; but I substituted some of them and place carrots, celery, cabbage and white wine instead. My husband loved it as well myself. Thank you again.